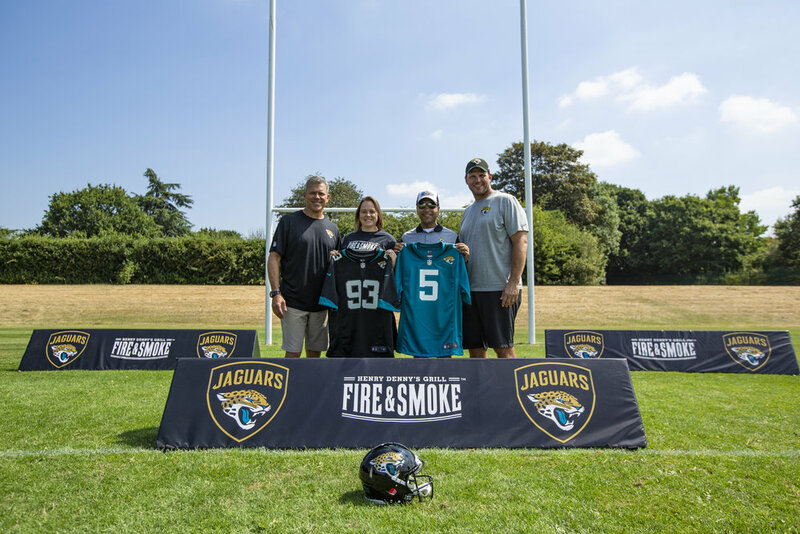 The UK’s only annually present NFL team, Jacksonville Jaguars, has entered into a new partnership with the popular cooked meat brand, Fire & Smoke. Specialising in flavour from the American Deep South and containing high protein levels, the brand will become the Official Meat Partner of the Jaguars and the Jaguars Se7ens Cup tournament – a flag football tournament which gives participants the opportunity to compete for an all-expenses paid trip to the Super Bowl. The Jaguars will be promoting Fire & Smoke across their social channels, with various prizes and experiences up for grabs for some lucky consumers. The Jaguars will also be providing one lucky Fire & Smoke customer the chance to win a VIP experience at a Jacksonville Jaguars game including a behind the scenes stadium tour at TIAA Bank Field, as part of an on-pack promotion. The latest partnership with Fire & Smoke is part of the Jaguars strategy to continue expanding their commitment to the UK. The only NFL team with a permanent presence within the UK, the Jaguars have played a prominent role in building the 13million fan base of American Football fans throughout the UK and Ireland. Recently reporting a +34% YoYgrowth in sales, the Fire & Smoke brand has gone from strength to strength, driving incremental sales to the meat aisle with its bold tasting flavour from the American Deep South. With both companies sharing that southern US heritage but continuing to appeal to a passionate and loyal fan base of millennials, the partnership is a great fit which aims to drive brand awareness and sales throughout UK consumers. Hussain Naqi, Senior Vice President International Development for the Jacksonville Jaguars, comments ‘We feel proud and privileged to be partnering with such a great UK & Ireland based organisation but also with a brand who shares and understands our southern US values. We are excited to bring that flavour to life through American Football for millions of consumers around the UK and continue to grow our transatlantic efforts through this great partnership’. The new partnership will include an on-pack promotion, experiential activity, sampling and digital support.